Gaston, Oregon is a blast from the past. Combining old-time small-town community with 21st century accessibility and amazing vineyards using sustainable growing practices, you can have it all in the rural lifestyle. Close to amazing recreation and state parks, rich agricultural land, and amazing views of the valley, Gaston is the perfect place for a retirement getaway, a peaceful vacation home, or a bit of Oregon land to cultivate in your own way. With an independent school district, independent library, and a strong community, Gaston feels like an original Oregon settlement without the hustle and bustle of modern life's stress. With easy access to the city of Forest Grove, with all of its theaters, restaurants, parks, and cultural activities at Pacific University, residents of Gaston have the best of all worlds. Gaston was named after the railroad proponent Joseph Gaston, who immigrated to Oregon from Ohio in 1862. Gaston was responsible for the promotion of the west-side railroad southwest of Portland, which was later built by Holladay and Villard. He built the narrow-gauge rail line from Dayton to Sheridan in 1878 and subsequently wrote and published histories of Portland and Oregon. Gaston post office was established on June 5, 1873. Gaston is located in the western part of Washington County, west of Beaverton and Portland. Currently the Gaston School District is a full K-12 district, with 525 students total in 2007, and a single high school. If you're interested in Gaston, Oregon Real Estate, land and homes for sale in Gaston, or have any questions about relocating to Portland and Portland area suburbs, don't hesitate to contact the McDonald Group Realtors, your guide to Suburban Portland Real Estate. The city of Gaston has a city park with five acres, and The Tillamook State Forest is within 50 miles. Gaston also provides easy access to some of Oregon's amazing recreational activities, including the Oregon Coast, Columbia River, Nestucca River and the Wilson River. Annual Wapato Showdown - This yearly event brings the community fun to Gaston with a classic car show, Gaston Good Ol' Days Parade, steak dinner, fireman's pancake breakfast, and plenty of food booths and a beer and wine garden. Tree to Tree Aerial Adventure Park: 2975 SW Nelson Rd Gaston, OR 97119 - Tree To Tree Adventure Park is a playground/obstacle course set high in the trees. Choose your own adventure...with various course levels and paths to take, you can decide what degree of difficulty suits your comfort level. Move from "Tree to Tree" using platforms, wobbly bridges, tight ropes and more. You will be fully secured by your harness at all times...so there are thrills and chills without the spills! 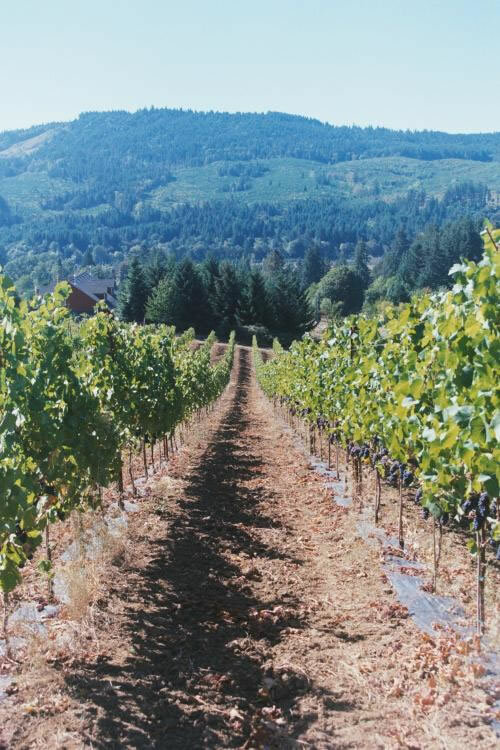 Wine Country Getaways: It was in the beautiful, fertile hills a few minutes from Historic Downtown Gaston that Charles Coury first planted Oregon's famous pinot grapes. The Gaston area's boutique wineries are still very welcoming and you can often chat with the winemaker to learn the mystique of Oregon pinot noir. Henry Hagg Lake: This 1,200-acre reservoir is nestled in the foothills of the Coast Range, just north of Gaston, and is perfect for fishing, hiking, boating, and viewing wildlife. The lake reaches depths of over 100 feet and is well-stocked with rainbow trout, some reaching 7 pounds. Small-mouth bass and brown bullhead are also present. Hagg Lake is surrounded by 15 miles of biking and hiking trails, where you might encounter the elk, deer, or coyote that call these woods home. The mixture of habitats around Hagg Lake also attracts a variety of bird life, including nesting pairs of bald eagles and ospreys. Banks-Vernonia State Trail- This was the first “rails-to-trails” state park built in Oregon. It is built on an abandoned railroad bed that stretches 21 miles from the town of Banks to the city of Vernonia. The trail includes an eight-foot wide hiking and bicycle trail paralleled by a four-foot wide horse trail. The gentle grade allows hikers, bicyclists, equestrians and people of all abilities to enjoy the scenic mountains, fields and forests of Washington and Columbia counties. Coopers D's Place: 304 Front St. Gaston, OR 97119 - This is the kind of place where you're likely to see farmers chatting about the harvest over burgers and fries, if that kind of place served the best hamburger of your life. Five stars for the small town burger joint! We don't know how it could get any more perfectly flavored or perfectly American. Elk Cove Vineyard: 27751 NW Olson Rd. Gaston, OR 97119 - One of our favorite vineyards, Elk Cove has amazing Pinot Noir and pinot gris. Take a trip up to the vineyard and spend the day. Take the back-road scenic wine country highway, which has the most amazing scenery, even on cloudy days! Bring some food, this would be a great spot to have a picnic! They encourage folks to lounge around and enjoy not only the wine but the scenery as well - and sitting outside on a patio overlooking the vineyard with a mouthful of cheese and a glass full of wine is definitely the best way to get to know Gaston! Gaston Market: 222 Front St Gaston, OR 97119 - I love funky little grocery stores in small towns and this is no exception. They have a well stocked selection while staying small and charming. Food, drinks, cat food, a big selection of tools and work gloves -- they even cut keys with an old school key machine! Try the chicken strips, they are surprisingly awesome. Kramer Vineyard: 26830 NW Olson Rd Gaston, OR 97148 - When you visit Kramer Vineyard you'll be greeted warmly by the Kramer family, who own the vineyard and make the wine. The tastings are less expensive than others we've been to, cover a wide range of their wines, and include a glass to keep! They also have a delicious spread of foods to compliment the wines. They'll talked to you in depth about their wines and the history of their vineyard, and make you feel right at home!